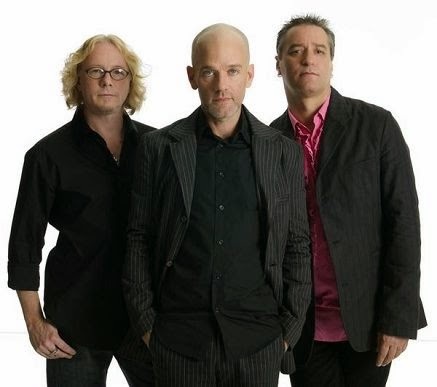 A Look at Alternative Rock Band R.E.M. A few weeks ago, I wrote a post about a cover of REM's song "Losing My Religion". (You can read that post HERE) At that time, I promised I would write more about the band at a later date. That date has finally arrived. R.E.M. were an alternative rock band formed in Athens, Georgia,in 1980. The band originally consisted of Michael Stipe (vocals), Peter Buck (guitar, mandolin), Mike Mills (bass, keyboards, vocals) and Bill Berry (drums, vocals). Berry retired from the band in October 1997 after having suffered a brain aneurysm in 1995. R.E.M. released its first single, ”Radio Free Europe“, in 1981 on the independent record label Hib-Tone. The single was followed by the Chronic Town EP in 1982, the band’s first release on I.R.S. Records. In 1983, the group released its critically acclaimed debut album, Murmur , and built its reputation over the next few years through subsequent releases, constant touring, and the support of college radio. Following years of underground success, R.E.M. achieved a mainstream hit in 1987 with the single “The One I Love “. The group signed to Warner Bros. in 1988, and began to espouse political and environmental concerns while playing large arenas worldwide. By the early 1990s, when alternative rock began to experience broad mainstream success, R.E.M. was viewed as a pioneer of the genre and released its two most commercially successful albums, Out of Time (1991) and Automatic for the People (1992), which veered from the band’s established sound. R.E.M.’s 1994 release, Monster, was a return to a more rock-oriented sound. The band began its first tour in six years to support the album; the tour was marred by medical emergencies suffered by three band members. In 1996, R.E.M. re-signed with Warner Bros. for a reported US$80 million, at the time the most expensive recording contract in history. 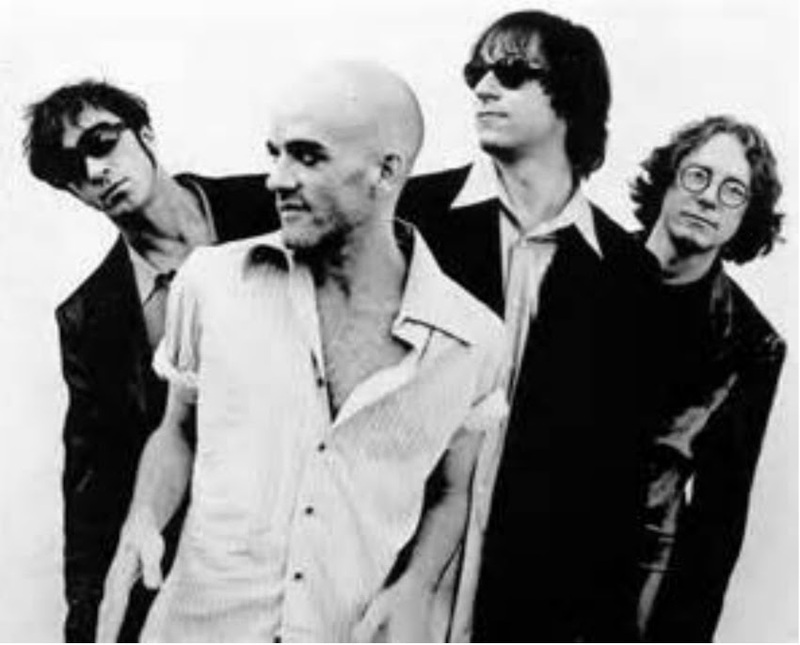 The following year, Bill Berry left the band, while Buck, Mills, and Stipe continued the group as a three-piece. Through some changes in musical style, the band continued its career into the next decade with mixed critical and commercial success. In 2007, the band was inducted into the Rock and Roll Hall of Fame. "Orange Crush" was released as the first single from the band's sixth studio album, Green, in 1988. It was not commercially released in the U.S. despite reaching number one as a promotional single on both the Mainstream and Modern Rock Tracks (where, at the time, it had the record for longest stay at number one with eight weeks, beating U2). It peaked at number 28 on the UK Singles Charts, making it the band's then-highest chart hit in Britain, where they promoted the song by making their debut appearance on Top of the Pops. The video for the song, directed by Matt Mahurin, won the band its first VMA, for Best Post-Modern Video. "Orange Crush" was also the first song to win in the category. The song's title is a reference to the chemical defoliant Agent Orange manufactured by Monsanto Corporation and Dow Chemical for the U.S. Department of Defense and used in the Vietnam War. As a guest on the late-night show Last Call with Carson Daly, Michael Stipe explained that the song was about a young American football player leaving the comforts of home for the war in Vietnam. "It's the End of the World as We Know It (And I Feel Fine)" appeared on their 1987 album Document, the 1988 compilation Eponymous, and the 2006 compilation And I Feel Fine... The Best of the I.R.S Years 1982–1987. The song originated from a previously unreleased song called "PSA" ("Public Service Announcement"); the two songs are very similar in melody and tempo. "PSA" was itself later released as a single in 2003, under the title "Bad Day." The song is known for its quick flying, seemingly stream of consciousness rant with a number of diverse references, including a quartet of individuals with the initials "L.B." (Leonard Bernstein, Leonid Brezhnev, Lenny Bruce and Lester Bangs). In a 1990s interview with Musician magazine, Michael Stipe claimed that the "L.B." references came from a dream he had in which he found himself at a party surrounded by famous people who all shared these initials.